Well, the zombies are attacking again. This is gonna put a damper on the day, for sure. Thankfully, since zombies are an occasional problem, a cure has been created. However, there's not a guarantee there'll be enough for all the survivors. But, you know, they all still want humanity to go on. So as long as some people get the cure, that should be good. 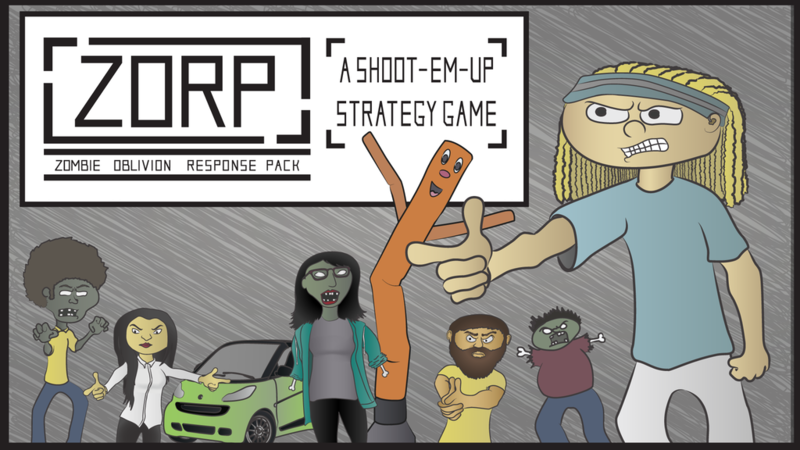 That's the story behind ZORP (Zombie Oblivion Response Pack), a new board game that's up on Kickstarter. In the game, most players take on the role of survivors of a zombie outbreak, while one takes on the role of... well.. the zombie outbreak. The survivors are looking to collect weapons and supplies and make their way to the zombie cure spaces. If all the cures are taken, then the survivors win. On the other side of the life/death line, you have the zombie player. They are continually getting more and more zombies with which to keep the survivors from making it to the cure. The Kickstarter campaign's up and running now. It's set to go for another 21 days.